Maryland Divided Part 5: Can Salisbury and small enclaves make rural Maryland cool? Small cities like Salisbury, Maryland, may hold the key to revitalizing the rural areas that surround them. But first they need to start keeping their youngest residents from fleeing. Photo by J.F. Meils/Capital News Service via AP. As Maryland’s rural counties lose farmland, consider fracking and face economic challenges, the Capital News Service at the University of Maryland Philip Merrill College of Journalism presents a series examining the political divide between urban and rural parts of Maryland and the state of the economy in rural Maryland. This is the last part in a five-part series. SALISBURY— Salisbury Mayor Jake Day, 34, has a floor-to-ceiling erasable board dotted with Post-it notes on the longest wall of his office. Salisbury, Maryland Mayor Jake Day in his office. Day is attempting to transform Salisbury into a place that appeals to both locals and visitors by emphasizing the arts. Photo by J.F. Meils/Capital News Service via AP. It’s a jarring display of terrestrial organization for a millennial, but Day is hardly old school. He’s got two masters degrees, one from Carnegie Mellon in urban design and the other from Oxford in environmental policy. He is also an officer in the Maryland National Guard and a local boy whose father was recently named COO of Perdue Farms. “There were moments when, as a 9-year-old living in Salisbury, I was thinking I really want to be mayor in this town,” said Day. So he’s had plenty of time to think about how he’d change things in a city with a history of helter-skelter development and a stubborn crime rate. Day is staring down a core problem in rural Maryland: People are dying faster than they’re being replaced, and where they’re not the numbers are trending that way. So retaining residents and attracting new ones is vital. Because creating jobs, enticing new industries and rebuilding infrastructure matters little if there’s no one around to fill those jobs, drive on those new roads or enjoy those renovated downtowns. And cities like Salisbury, Frederick and Cumberland — small urban anchors in Maryland’s rural areas — could be where the revitalization begins. Or where it’s already underway. Garrett, Allegany, Kent, Talbot, Dorchester, Somerset and Worcester counties all had more deaths than births in 2015, according Maryland’s Vital Statistics Report. Leading the way on the Eastern Shore was Kent, which had a third fewer births than deaths. In Western Maryland it was Allegany, where the disparity was 27%. In Wicomico County, where Salisbury is located, the numbers are rosier. In 2015, births beat deaths by 36%. However, in 2010 that number was 50%. The same trend is there for Frederick County, where births outpaced death two to one in 2010, but slowed to five for every three in 2015. Population problems in rural areas tend to get framed in economic terms. The argument goes that young people won’t stay if there are no jobs, but the jobs won’t come if there are no young people to fill them. But the jobs are there. According to Maryland’s Workforce Exchange, there were more than 600 open job listings in Wicomico County, the majority of which were in Salisbury. The numbers are similar in Frederick and Allegany, with more than 500 open job listings in both counties as of late April. “The problem is that we’re just not adding people at the same rate that we’re adding jobs,” Day said. Part of the challenge includes boosting the quality, pay and benefits of available jobs. 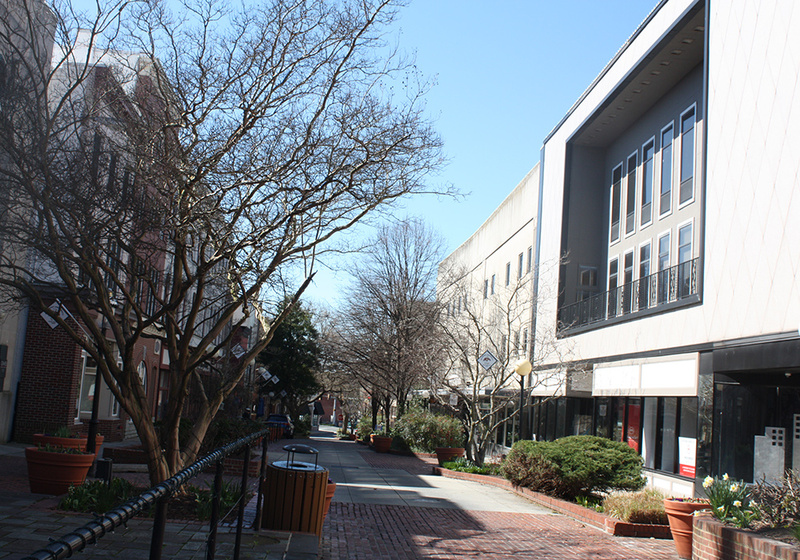 According to the U.S. Bureau of Labor Statistics, there has been a pronounced economic shift in Salisbury over the last 10 years from producing things to delivering services — and with it, more jobs that tend to pay less and come with fewer benefits. In order to sell employment that might not stack up salary-wise to urban areas, mayors like Day and Randy McClement in the city of Frederick are increasingly turning to what they can offer instead: quality of life. The Carroll Creek area in the city of Frederick in Maryland was devastated by a flood in 1976, but rebuilt to be the center of the city’s historic quarter and a popular attraction for visiting tourists and locals alike. Photo by J.F. Meils/Capital News Service via AP. The city of Frederick, basically the model for small to mid-size urban redevelopment in Maryland, has the luxury of being perched at the top of I-270 corridor, in commuting distance to job-rich Washington, D.C., and Montgomery County. Salisbury is more remote, and the people who live near it more reliant on its services. When asked what Salisbury’s 33,000-odd residents needs most, Day points first to an intangible. Day is referring in part to Salisbury’s crime problem. According to the Governor’s Office of Crime Control and Prevention, the city’s violent crime rate per 100,000 people in 2015 was almost double the state average, though it has fallen in recent years. To help put the past behind, Day wants to remake pretty much the entire city. And, thanks to a partnership he initiated between Salisbury and the University of Maryland School of Architecture, Preservation and Planning, he has a blueprint to do it. 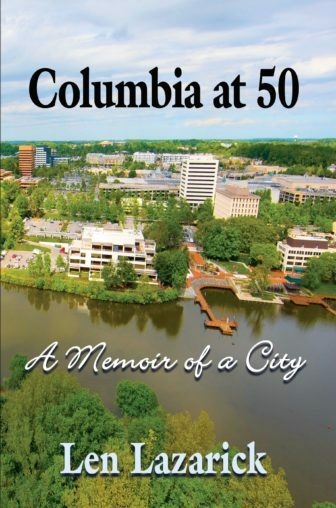 It focuses on the city’s urban core, dividing it into seven neighborhoods, and includes everything from streetscape redesign to newly constructed modern buildings and bridges along the city’s riverwalk on either side of the Wicomico River, which snakes west to east through Salisbury’s center. Day is hyperfocused on the city’s physical appearance, particularly its branding and signage, but also its benches, planters and trash cans, which are not uniform at present and clearly bother the mayor’s design sense. Salisbury’s master plan has a proposed price tag of about $640 million over 20 years, nearly 75 percent of which is meant to come from private sector investment. The plan is aggressive and maybe unrealistic, but also visionary. And perhaps no surprise from a mayor with an undergraduate degree in architecture and a masters in urban planning. Day is also pursuing smaller, less costly efforts at rebranding Salisbury, including being a finalist to host the National Folk Festival for three years, a 175,000-person event that takes place over a long fall weekend each year. Prior hosts include Nashville and Richmond, with Greensboro, N.C., as the event’s current location. Finally, one of the simpler efforts Day and his team are doing is something called 3rd Fridays, where the city organizes arts and crafts vendors and live music in the city’s historic quarter. “We had to focus on our own market first so we stopped worrying about the beaches and Baltimore and Washington for a minute and tried to figure out how to get local people to show up,” Day said. Initial funding for 3rd Fridays the first year was around $20,000. In 2016, CORRECTION: The total funding for the city’s Arts and Entertainment District (which includes the 3rd Fridays program) was $280,000. Day is a bliever in using data to make decisions and runs his weekly management meetings like a military battle briefing. Each of his department heads have between four and six key metrics that they measure and then provide updates on on a weekly basis. These include things like potholes filled and lane miles paved and travel time on fire department calls. Something Day will probably incorporate into his briefings soon.